Mother's Day is almost here and I'm so excited to be getting a visit from not only my OWN mother, but ALL the mother's in my entire family! Sunday is going to be a real treat for aunts, grandmothers, mothers and cousins, who all happen to be mothers in my family. 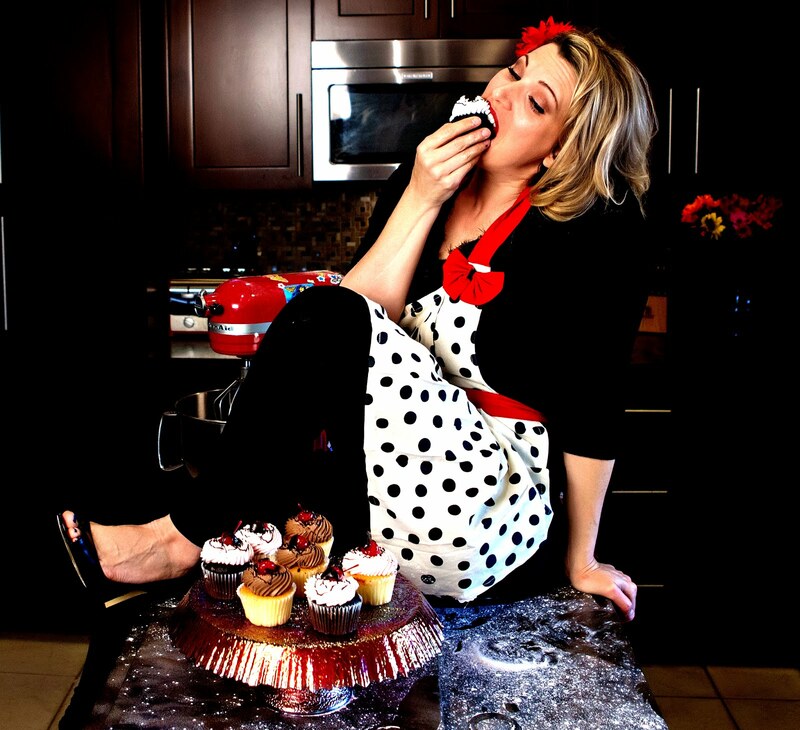 We're preparing a healthy, delicious meal for everyone with just a LITTLE bit of indulgence at the end. 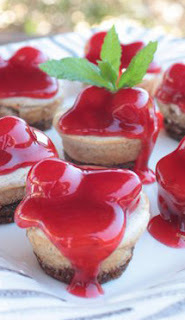 Dessert this Sunday is going to be Cherry Chai Cheesecake Bites. 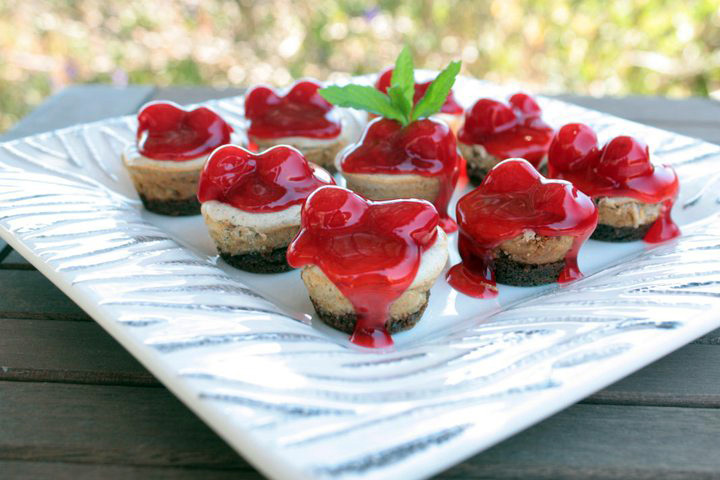 A small, little bite size taste of heaven, with ginger snap crust, fresh cardamom and cinnamon spiced cheesecakes and cherry pie filling on top for lots of color and sweet, delicious flavor! Spray a mini-muffin tin (24 muffins) with cooking spray. In a blender or food processor, finely crush the gingersnap cookies. Transfer to a large mixing bowl and add melted butter. Mix well until combined. Spoon about 1 tsp. of the cookie mixture into the bottom of each of the mini-muffin tins. Press the mixture to the bottom, creating a small pie crust in the bottom of the tins. In a separate mixing bowl, combine cream cheese, egg whites, sugar, vanilla, cardamom, pumpkin pie spice and flour. Mix with electric mixer for 2-3 minutes until smooth and creamy. Spoon the cheesecake mixture into the tins until each one is about 3/4 full. Bake in the oven at 350 degrees for 20 minutes. Remove and let cool for 5 minutes in the freezer. Run a butter knife around the edges to loosen the cheesecakes from the tins. 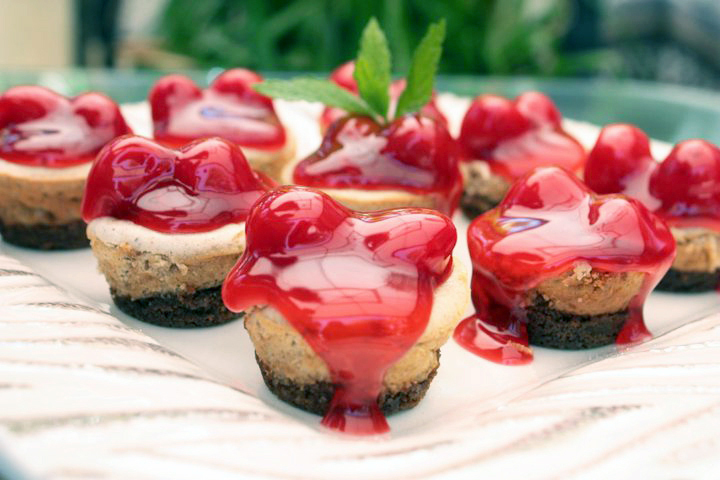 Flip the tins over to remove the cheesecake bites. To serve: Place the cheesecake bites on a serving dish and spoon cherry pie filling (about 2 cherries each) onto the cheesecake bites.